What is a foreign object and what causes it? Pitting on the compressor blades. Bolts, nuts, washers, rags or other items left in the intake pipe during servicing. Using new gaskets helps to prevent the possibility of gasket break up and also ensure a perfect seal. 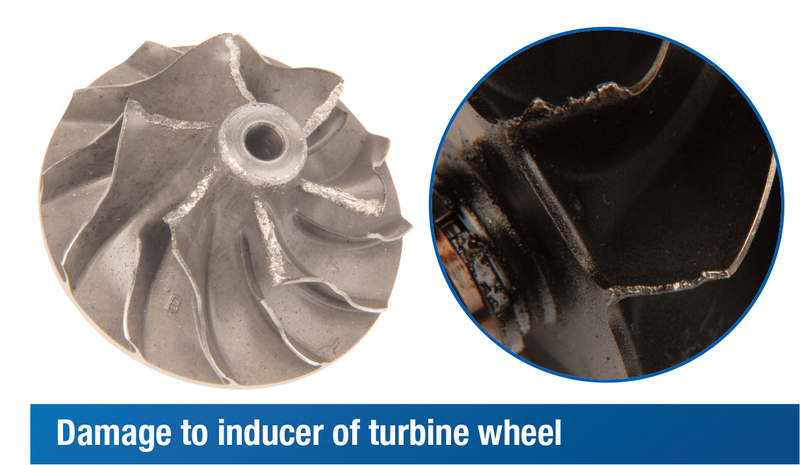 Please note: Never continue to operate a turbocharger with damaged blades as the rotor balance will be affected and this could impact its service life.